It may be amusing to some, but there is nothing funny about the declaration of the “Caliphate” by the militant group the Islamic State of Iraq and the Levant (ISIL). The rise of rejectionist groups is testimony to an older, deeper struggle that still haunts the region today. It would be folly to dismiss Islamist rejectionism as a fringe ideology. The new Caliphate may be “ahistorical,” but there is growing support for this much-indulging myth among some Muslim youth. After a century of poisonous politics in the Middle East, many prefer to escape to the past instead of facing the painful present. Rejectionist radicals are not new in the Arab world. In 1970s Egypt, an agricultural engineer, Shukri Mustafa, who turned radical in prison in the 1960s, founded the first rejectionist group, Takfir-wal-Hijra (meaning “excommunication and exile”). In his book, “Orientalism and Conspiracy,” Professor Sadiq al-Azm wrote about how Shukri Mustafa glorified illiteracy as essential for “a true Muslim society” and as an imitation of the Prophet Muhammad. Theologian Abul a’la Maududi, meanwhile, emphasizes that it is not illiteracy but rather disbelief that is the “true ignorance.” He and many others inspired Shukri Mustafa to completely reject both Muslim and non-Muslim contemporary societies. “Disbelief (kufr) is not a form of ignorance, rather it is ignorance, pure and simple. Disbelief is also a form of tyranny, in fact, the worst of tyrannies,” Maududi has said. Mustafa was the first to try to create a mini-society that subscribed to an ideology of glorified backwardness, but he ended up arrested and executed after confronting the state and killing the Muslim cleric Sheik Muhammed el-Dhahabi, who openly criticized Mustafa’s ideas. Mustafa’s end symbolizes the power of the state that was able to crush him. However, his ideas lived on. The reasons behind the appeal of ISIL have nothing to do with the original Islamic Caliphate, or its true history. There is a more contemporary triangle that triggers this medieval myth that should not be overlooked. Arabs, Iranians, and even Turks have mishandled the challenge of state building. None of them has produced a successful model on both the political and social front that can counter dictatorship and allow freedom without compromising traditional and religious values. The result has been an ugly divorce between election and democracy and between democracy and liberal values. Rejectionism is a desperate attempt to counter injustice by creating a brutal justice system. There is a tendency by many regional exploiters (from the Gulf States to Iran and even Turkey) to flirt with backwardness, to downplay and even glamorize rejectionism for political gain. The terms “Sunni revolution” and “Shia resistance” do not only indirectly water down their destructive impact on society and the state; they also naively assume that, once grievances are addressed, radicals and rejectionists will somehow mellow and embrace modern values. The alliance of many Sunni tribes with rejectionist groups such as ISIL is feckless and dangerous, even if there are good reasons behind it. Political Islamists have consistently presented themselves as the answer. However, time and again, Islamists have failed to distinguish themselves from radicals when it matters, and have even provided excuses for their brutality. The problem of the so-called “moderates” is their inability to draw red lines that distance them from radicalism, especially during times of crisis. Instead, they usually resort to knee-jerk responses to external threats that tempt them to view radicals as “brothers” in front of common enemies such as Syria’s Bashar al-Assad, Nouri al-Maliki in Iraq, or Khalifa Hafter in Libya. Many Muslim youth have started to see radicals as more authentic and genuine. The uncompromising posture of the rejectionist stance is a clearer option for many confused youth than models that have failed to weave Western modernity with Islamic teaching. Locals have been silent watching the destruction of their historical monuments, including their Islamic heritage. This antipathy can be due partly to fear of retribution, but it may also be a silent endorsement. The problem is not the newly born “Islamic State” or its future. 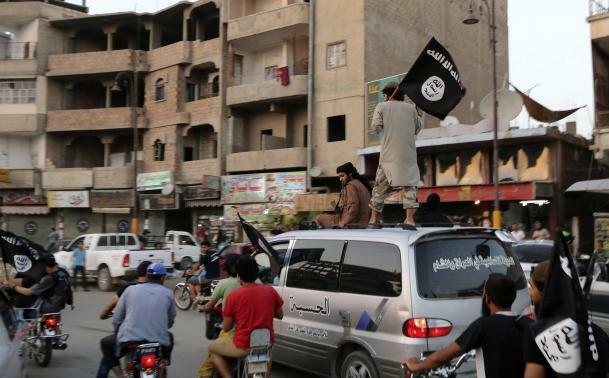 The “Caliphate” has many enemies, even within the radical camp. There is an ideological divide between rejectionists and other radicals such as al-Qaeda, as Aaron Zelin explains. Backwardness will ultimately fail to produce a functioning state, but its destructive path can ruin the region for generations. The important question, however, is how to stop rejectionism from spreading like cancer in the hearts and minds of many Muslim youth. The rise of Shukri Mustafa reflected a society in distress following the Six-Day War, which pushed some (Muslims?) to equate Zionism with Western values and ultimately to reject both. Following the death of Mustafa, Egypt failed to maintain Sheik el-Dhahabi’s effort to counter rejectionism from within Islam. Egypt’s failure was repeated in other Muslim countries. As a result, radical groups continue to exist unchallenged. The success of such groups has become dependent solely on the ruthlessness of the states in which they perform; the weaker the state, the better chance rejectionism has to flourish. Now we have reached the deep end; the piecemeal approach to the region’s chronic crises will fail this time. States such as Iraq and Syria are struggling to exist; it is time for the oppressors, exploiters, and apologists to pause and change course. If they do not, the tsunami of ignorance will not just destroy their enemies – it will destroy them, too. Only true democratic values, religious enlightenment, and pluralism can save our youth from fantasying about the past, and stop the Middle East from strangling itself. This entry was posted in Iran, Islam, Middle East, Politics, Saudi Arabia, Syria, Turkey. Bookmark the permalink.